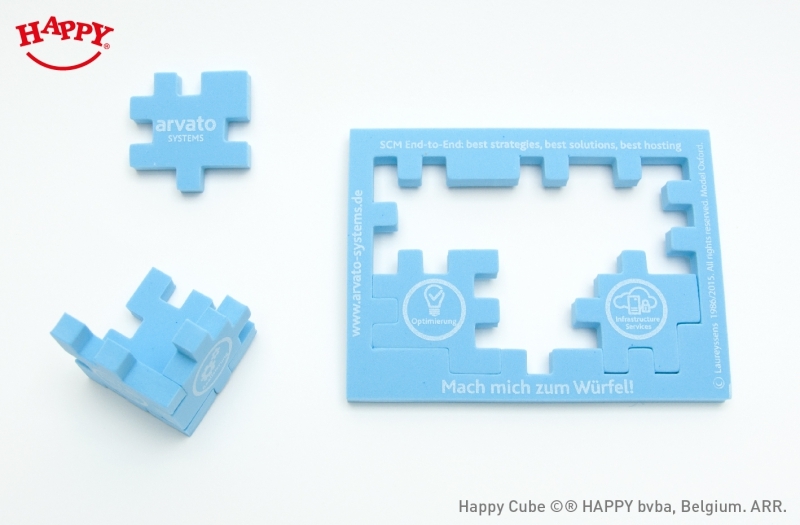 Get inspired by some of our Happy Cube projects! 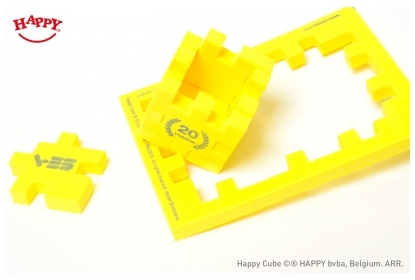 Happy Cube 4 cm, full colour print. 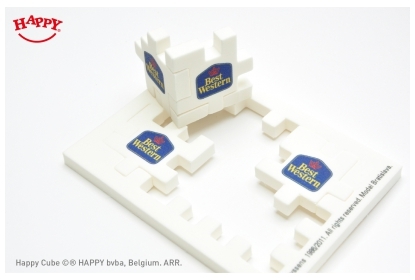 A great give-away for hotel clients. 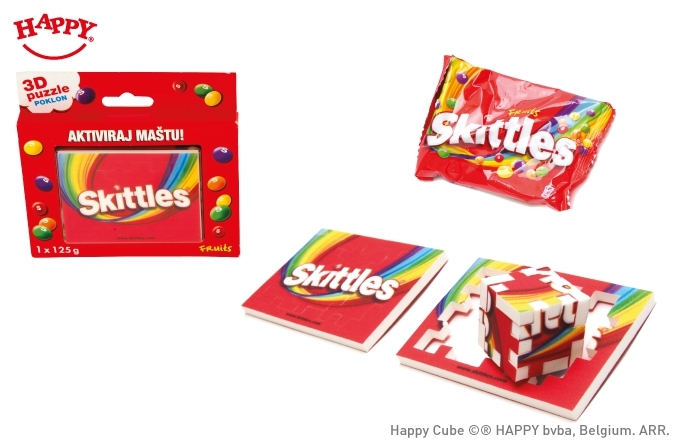 The Happy Cube 3 cm cube here used as nice and colourful onpack item accompanying Skittles candy. 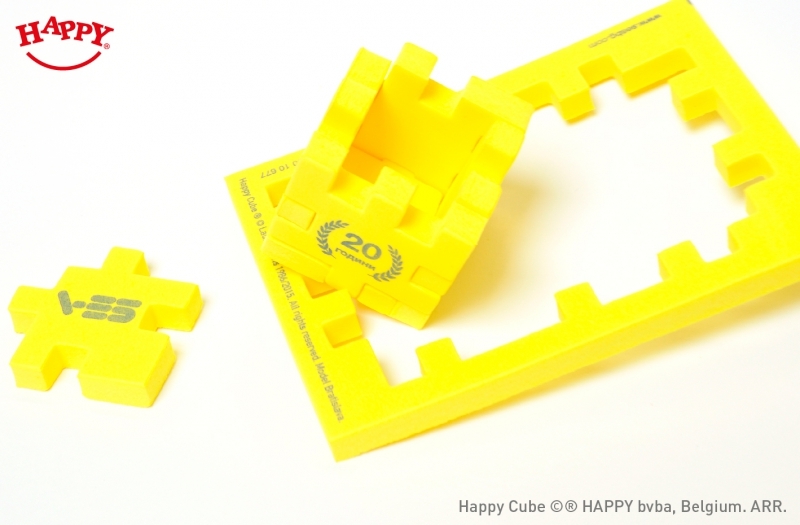 Happy Cube 4 cm cube, 1 colour print, to celebrate the 20 year company existence. 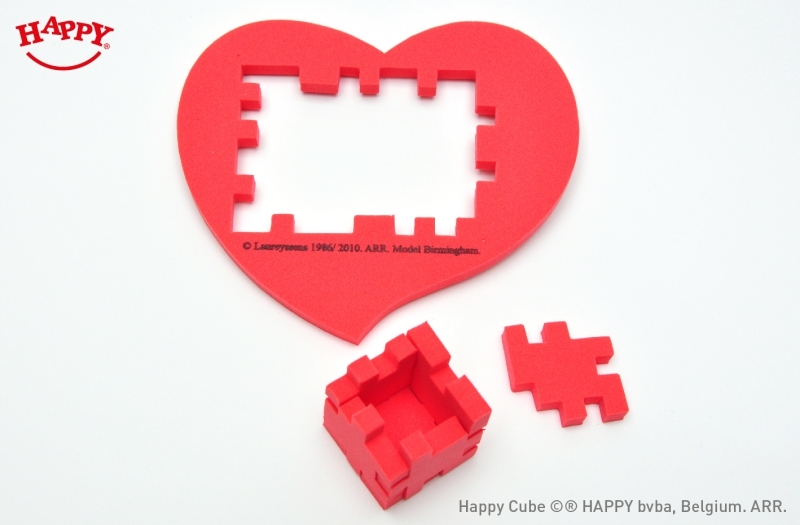 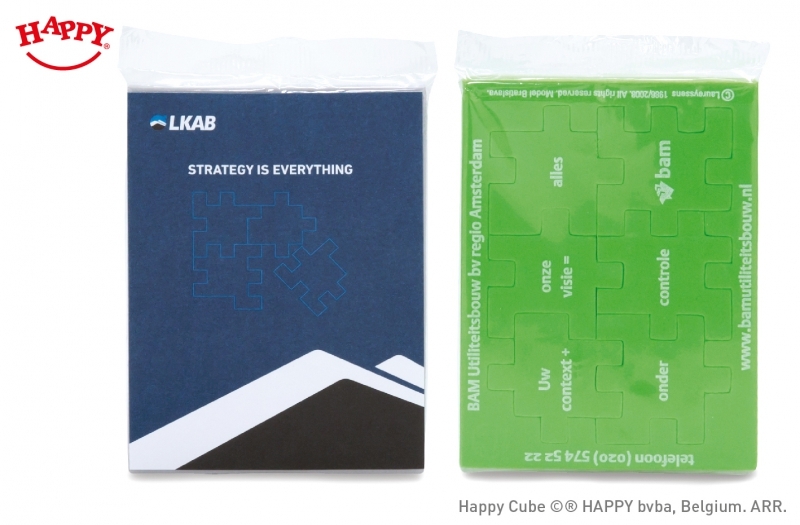 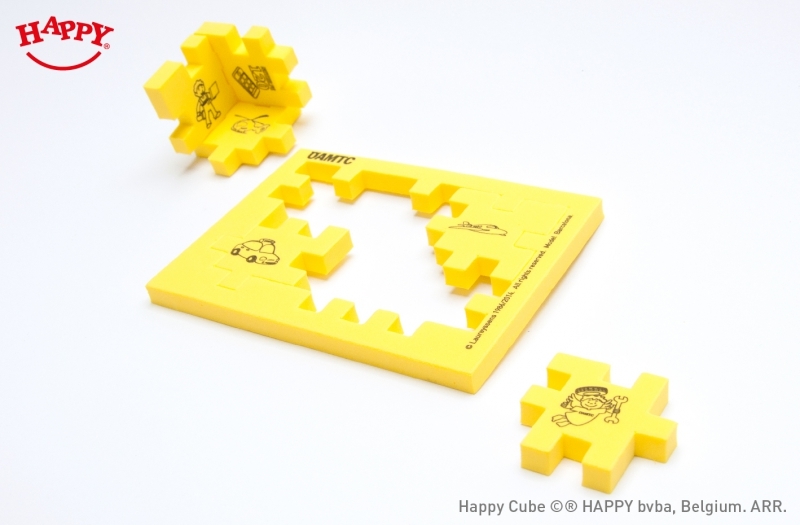 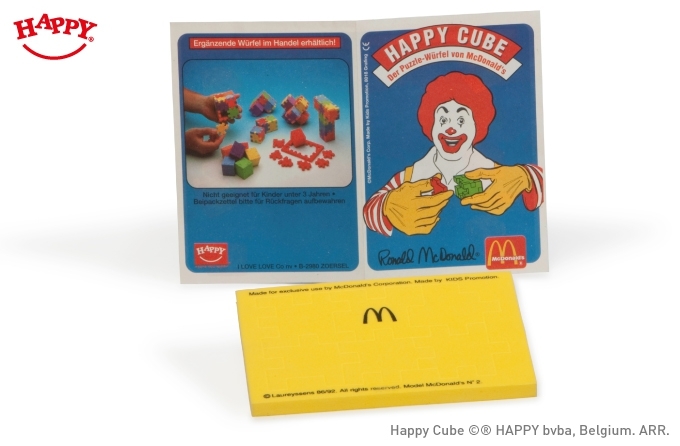 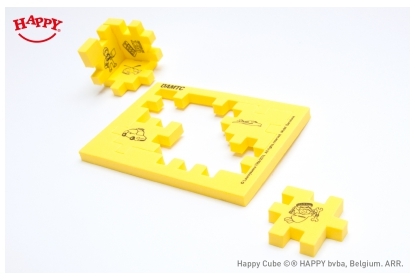 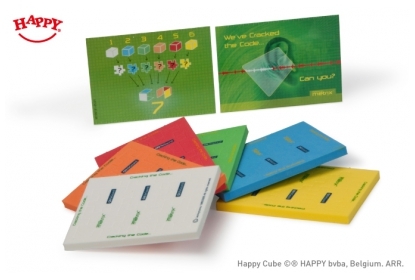 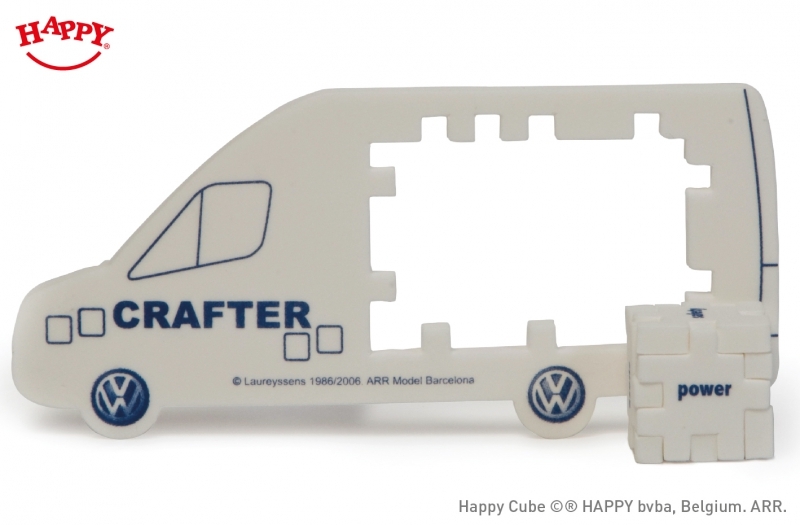 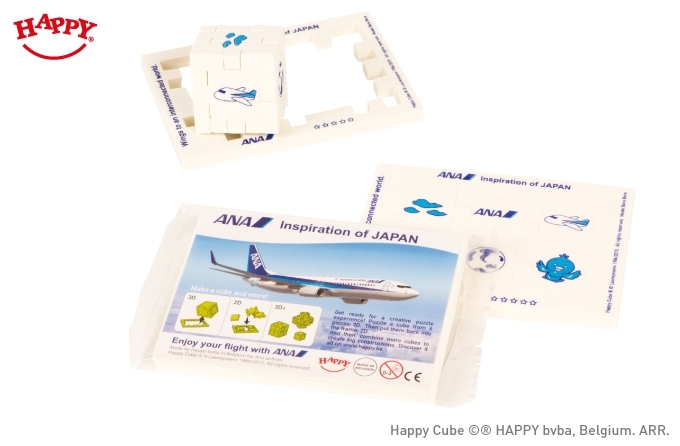 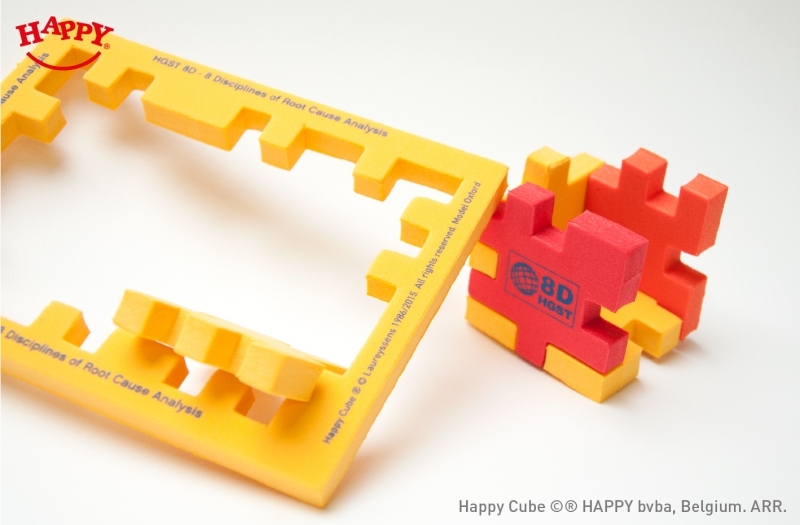 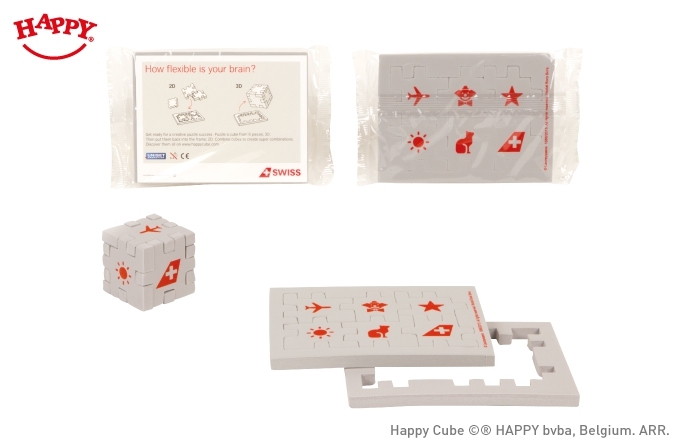 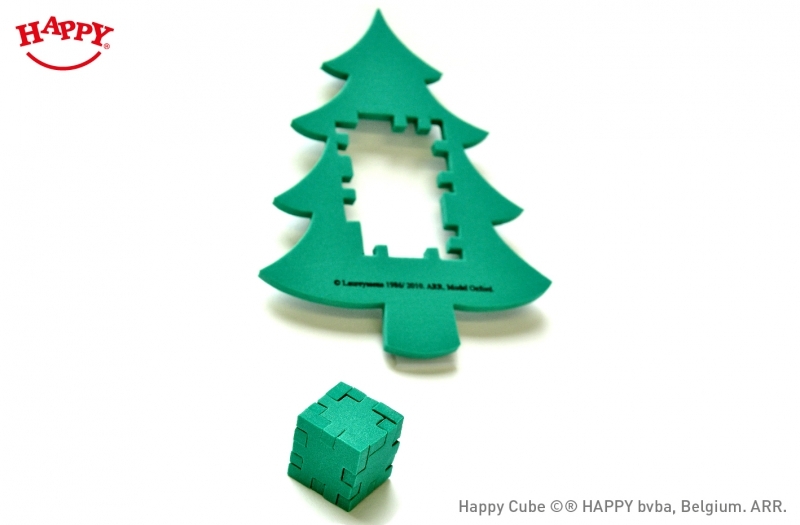 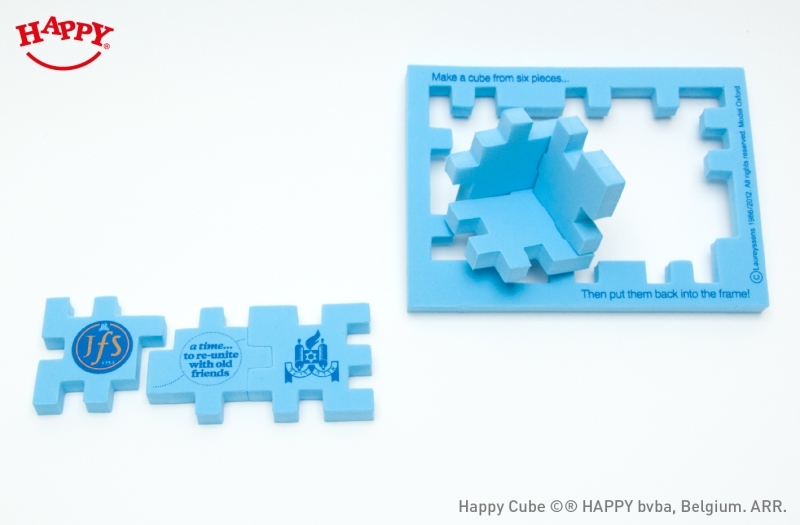 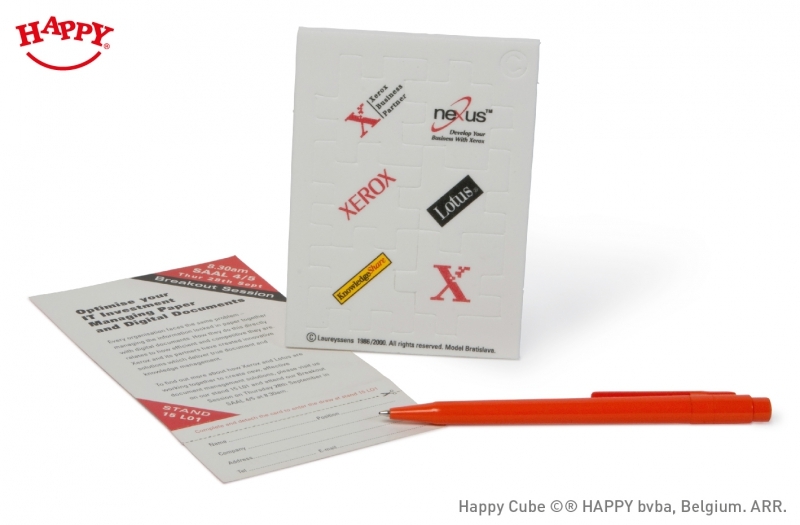 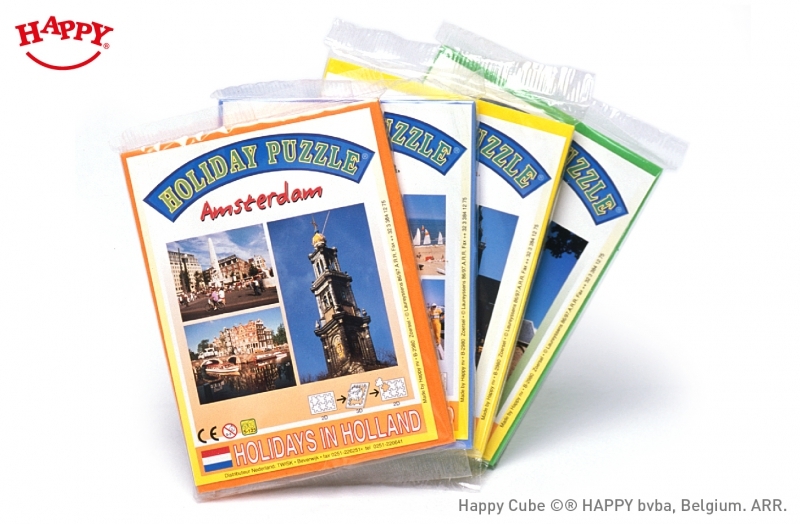 6 different coloured puzzles to collect - 3 cm cube with two coloured screen print, with custom full colour printed card. 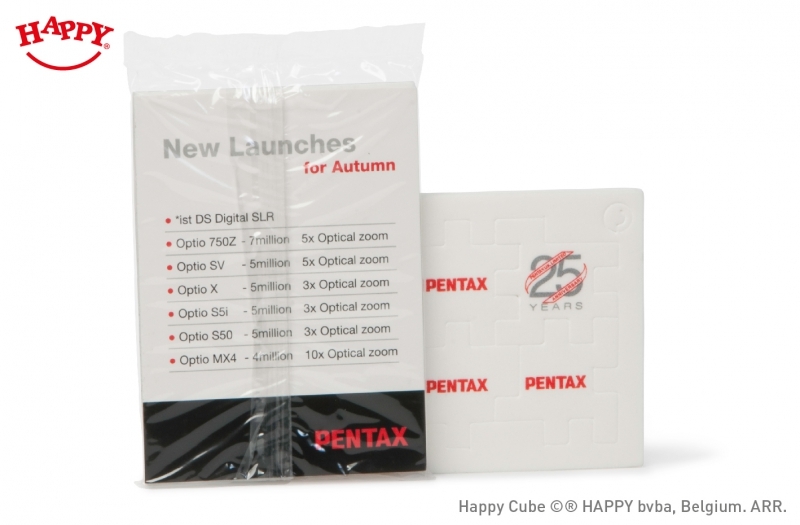 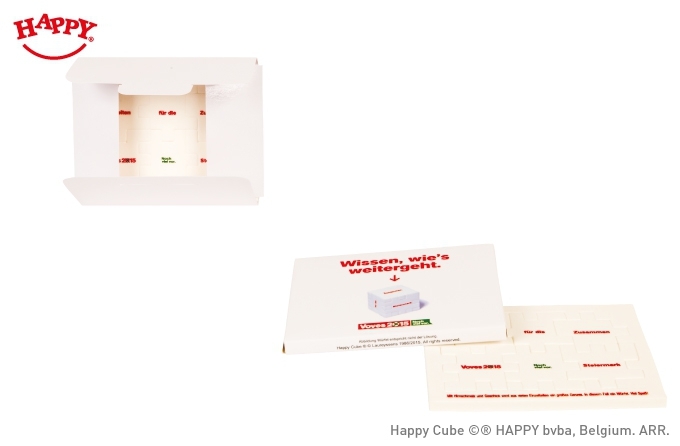 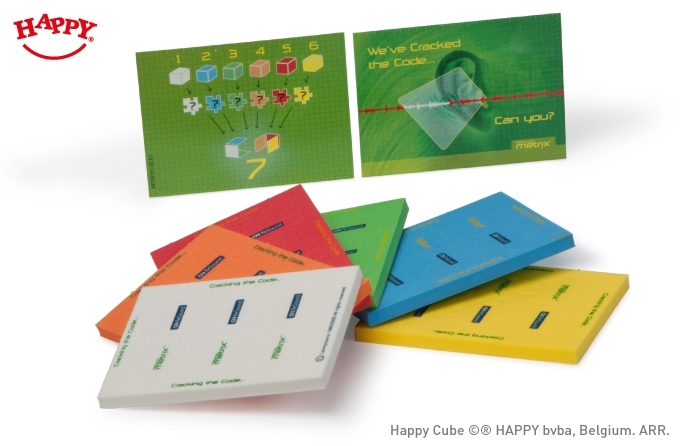 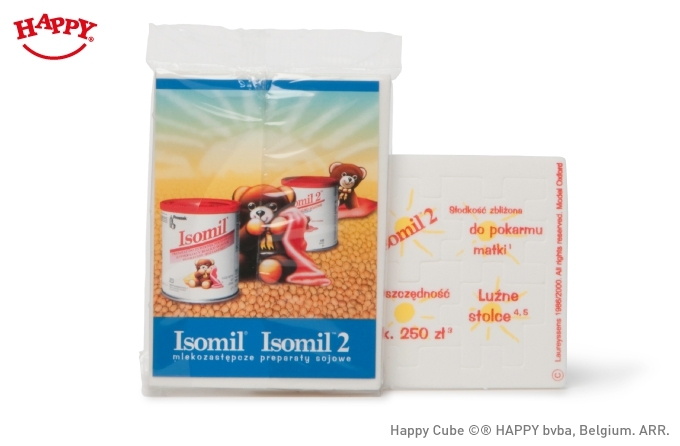 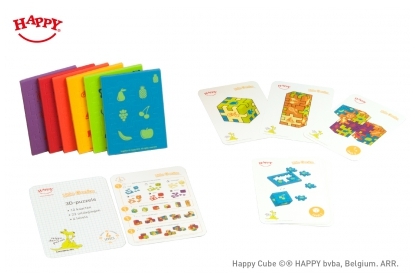 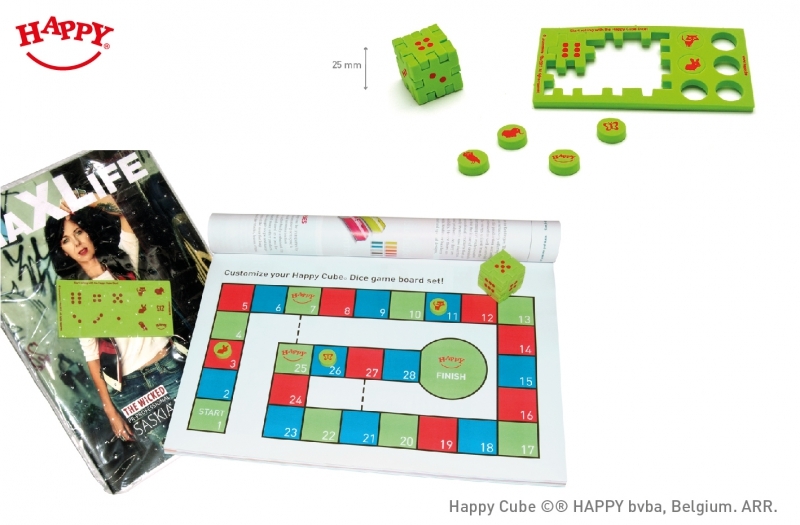 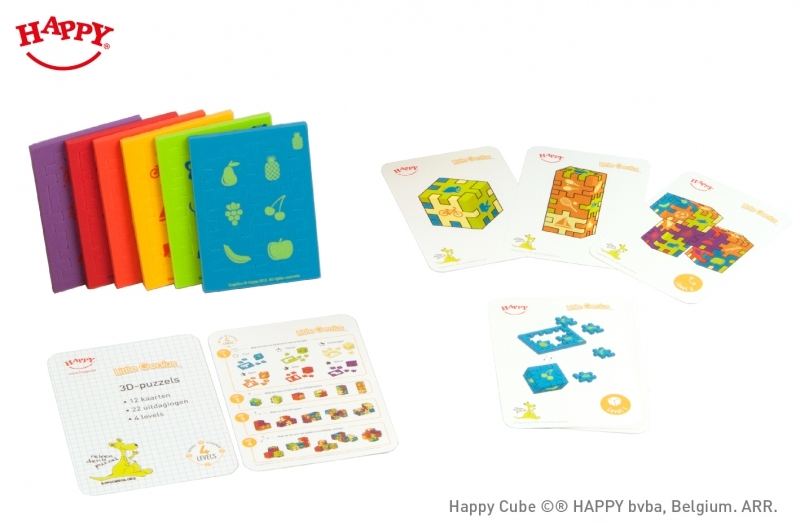 Little Genius 4 cm cubes, with 1 colour print, and challenge cards. 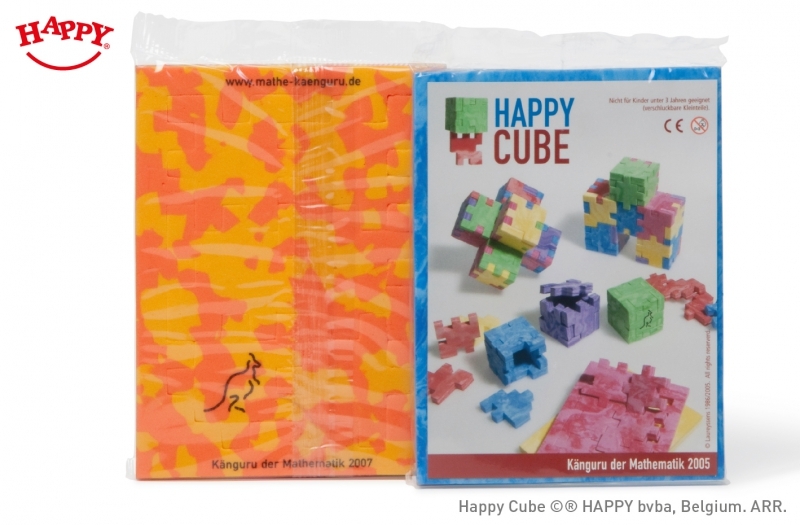 Special for the Kanguru math competition. 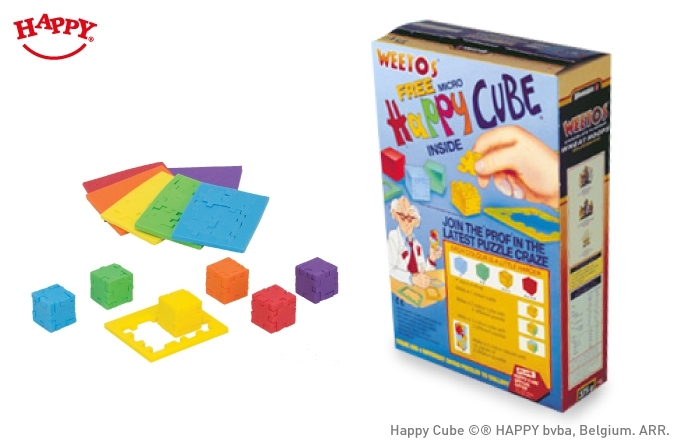 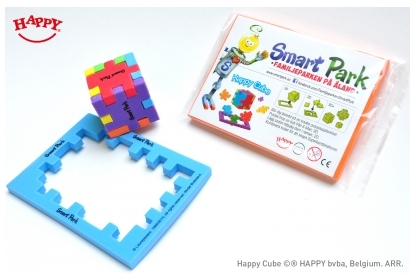 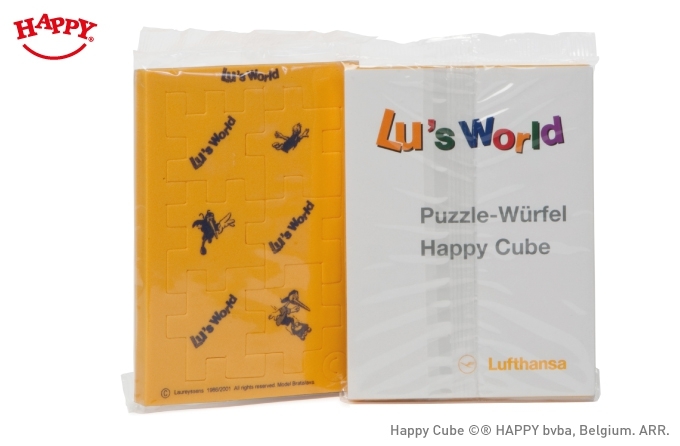 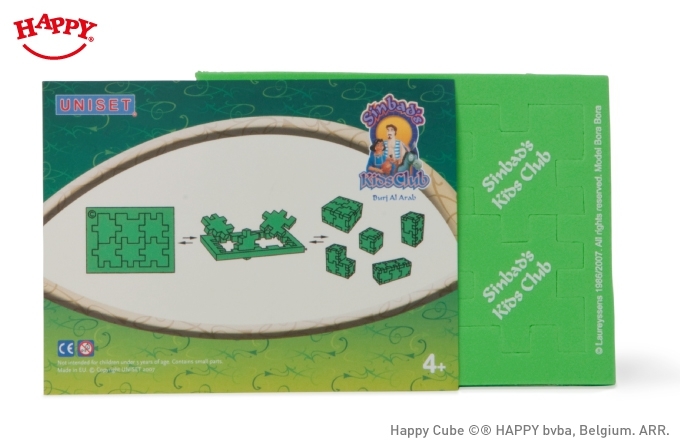 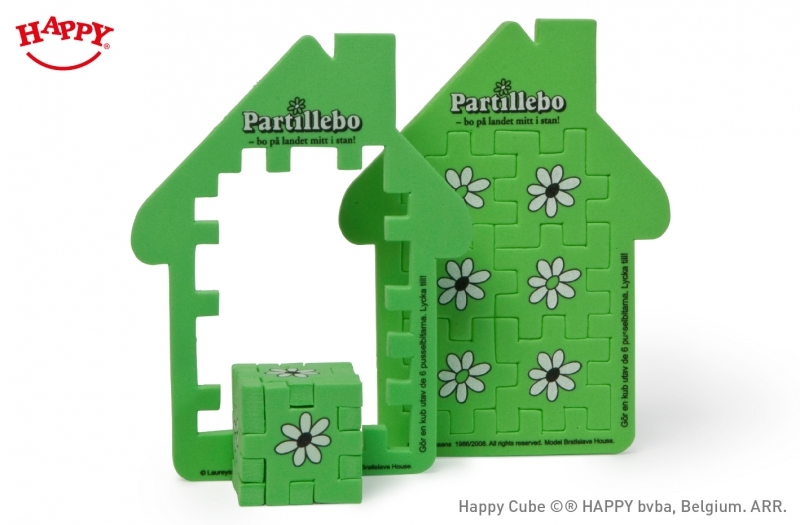 Happy Cube 4 cm multi colour cube with custom card, for retail or give away in family fun parks.